It flies in the face of everything you’ve ever heard, but yes, only a winner knows when it’s time to quit. I’m not talking about people who start a project or goal and quit when the going gets tough or when they get bored or tired. I’m talking about people who have fought the battle and said enough is enough – this no longer serves me. I’m talking about people who know when there needs to be a change; when he or she is going in the wrong direction, or when something is just not working. 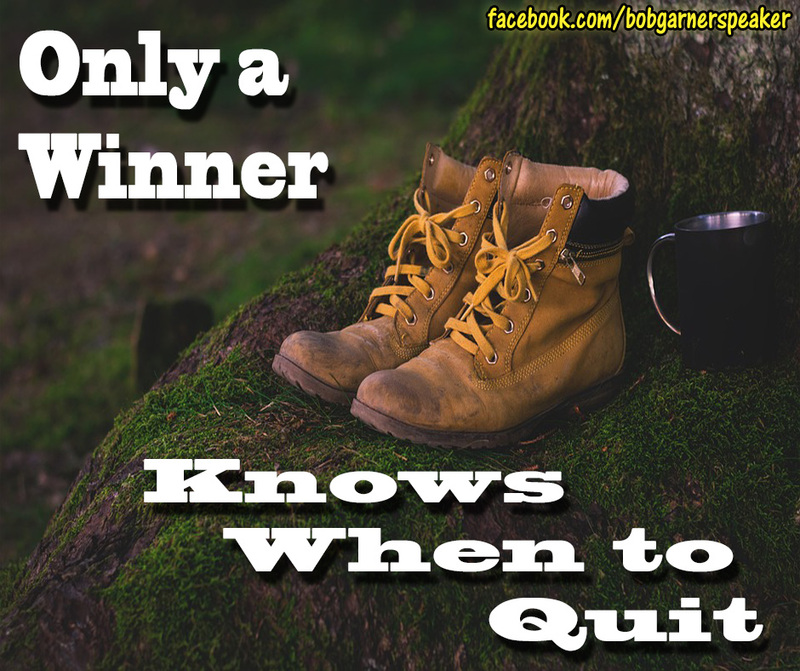 Sure, I will see the posts – “Only quitters quit” or “Winners never quit,” blah, blah, blah. Winners aren’t stupid. They don’t keep banging their heads against a wall so that others can say, “Wow! They are so tough … so committed.” No. A winner will assess the situation and then either try again, try a different approach, or go in a completely different direction. A winner doesn’t stay at a job that no longer serves them or inspires them. A winner doesn’t stay in a relationship that is no longer fulfilling, caring or loving. And, should that winner decide to quit, he or she will do so at the right time – or as close as possible to the right time.